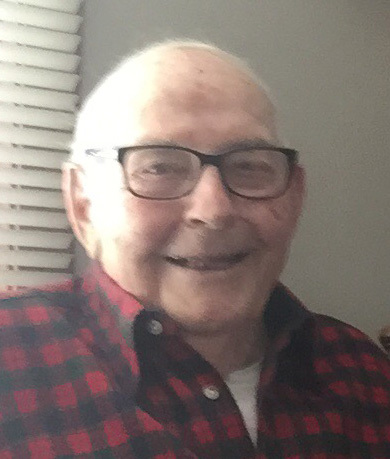 Vernon J. Hermes, 91, of Seymour, passed away Saturday, March 16, 2019, at his home. He was born in Ashwaubenon on March 5, 1928, son of the late Alex and Emma (Sausen) Hermes. Vern enjoyed having conversations and could comfortably chat with friends and friends-to-be. He loved the outdoors and hunting and fishing in state and out. He also trapped and helped one of his nephews manage his muskrat visitors. Vern retired from Proctor and Gamble after more than 40 years of service, never having missed a day of work. Survivors include, his brother, Roland (Mary) Hermes; sister-in-law: Jean Hermes; many nieces, nephews, and friends. Vern was preceded in death by a sister, Ann (Carl) Hock; brothers: Norbert (Barbara) Hermes, Merlin (Darlene) Peterson, Joseph Hermes, and Robert Hermes. A memorial service for Vern will be held Monday, March 25, 2019, at 11:00 am in the chapel at Our Lady of Lourdes Catholic Church in De Pere (1307 Lourdes Avenue). Family and friends will gather from 9:00 to 11:00 am at the church to celebrate his life. In lieu of flowers please consider a contribution to Our Lady of Lourdes Catholic Church. Such contribution may be made through the funeral home.